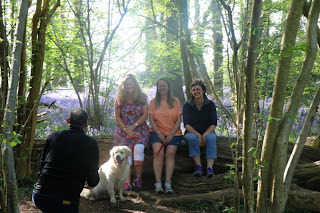 Susan organised a bluebell walk at Pamphill, next to Kingston Lacy. Meeting at the car park at 8:30 was a bonus as we missed the traffic and all the people who would be visiting the carpets of bluebells. 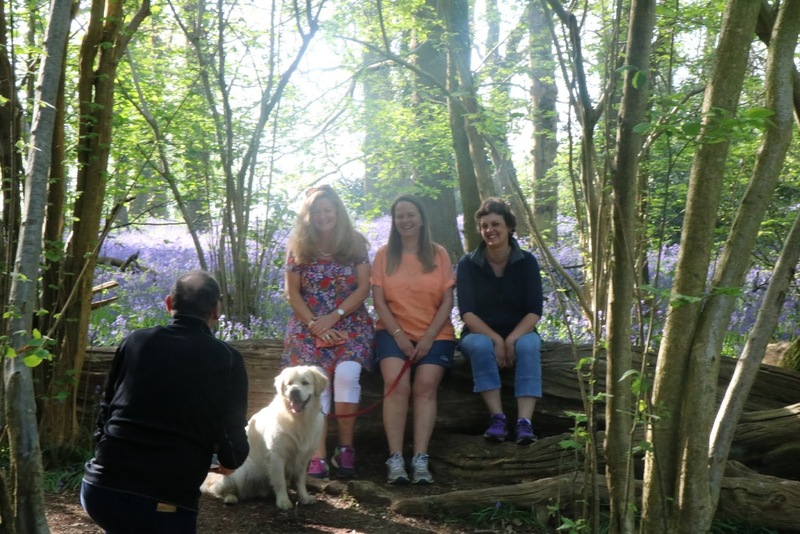 The plan was to meet Anna and John with Lady Vivienne and go for a stroll in the forest and admire the bluebells and then onto a coffee shop. Lady Vivienne arrived in a floral top over white crop pants and matching floral cross trainers. As we were there to see the floral display it was fitting one of us dressed for the occasion. Jenson was, as always, well behaved and stayed with us most of the time. Sadly the bluebells were getting a little passed their prime and I only saw a few late bloomers in full colour but as you can see it still was worth the visit and we all enjoyed the walk. Coffee, we were too early, so we decided to head moor the beach in search of breakfast and to give Jenson a cool swim before the heat of the day forced him and I indoors. Well that turned out to be a disappointment as the beach car park was already full by 9:45. The Susan took JB for a quick swim, while I double parked on the peninsula and we made for The Kitchen in Poole park, their breakfast is not as good but we were not too fussed by then. Reading back it all looks a little boring but in fact was quite an enjoyable time. Susan is now on the beach with Lady Vivienne and I am sitting at Sandbanks cafe enjoying a good cup of coffee before getting dinner. Not sure but roast gammon, new potatoes and salad quite takes my fancy.